As the weather gets a little chilly, Hongkongers love to combat the cold weather by indulging in seasonal treats like hotpot, a steaming cup of hot chocolate and of course, claypot rice. 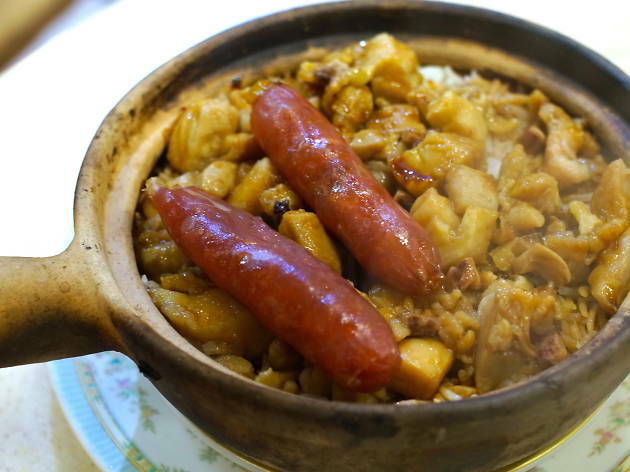 Those in the know flock to areas like Temple Street, Sai Wan, Shau Kei Wan and Kowloon City, in a sort of winter migration, to acquire the most authentic and best claypot rice dishes. Naturally, we’re doing likewise to discover which is number one. This restaurant boasts more than 3,000 sq ft of space and interiors designed to pay homage to Hong Kong dai pai dongs of the 70s and 80s. Food wise, claypot dishes are the biggest draw here. 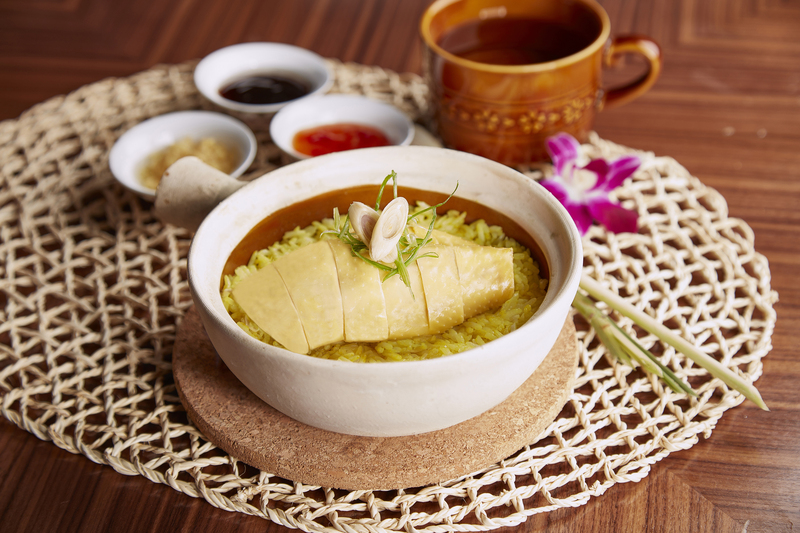 The signature retro series include salted fish and minced meat, abalone and chicken, as well as egg and beef claypot rice. It’s like a bite from the past. If you’re feeling adventurous, don’t miss out on Buddies’ creative fusion flavours like matcha, sakura shrimp and eel rice ($78) and Hainan chicken claypot rice ($78). 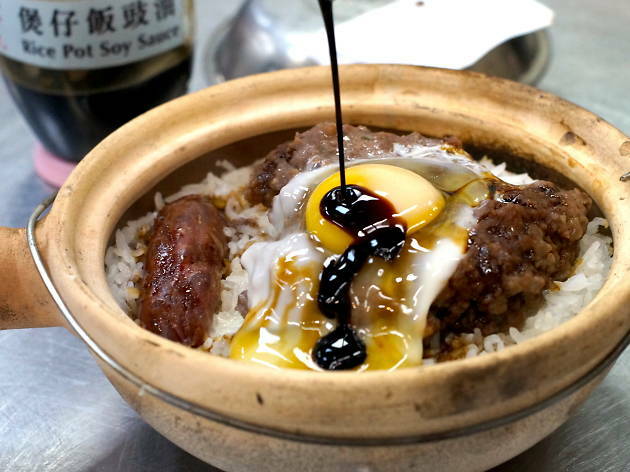 Not to be confused with the five-star hotel, Four Seasons is the granddaddy of claypot rice on Temple Street – it’s been serving the hungry folks of Mong Kok for more than 30 years. The moment claypot season hits, massively long lines start forming outside. 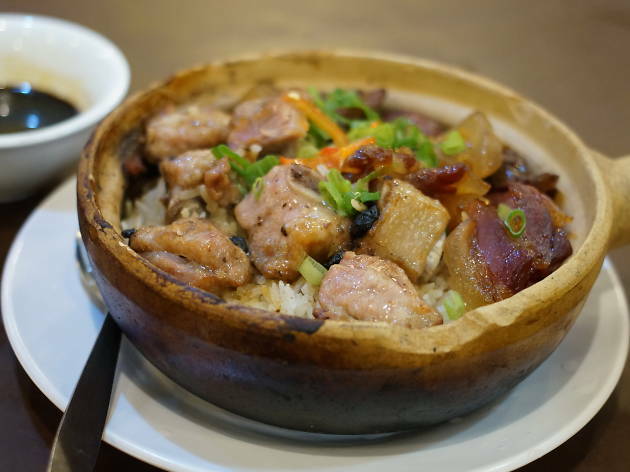 The claypot rice is cooked using a charcoal fire and there are 30 different varieties you can select. 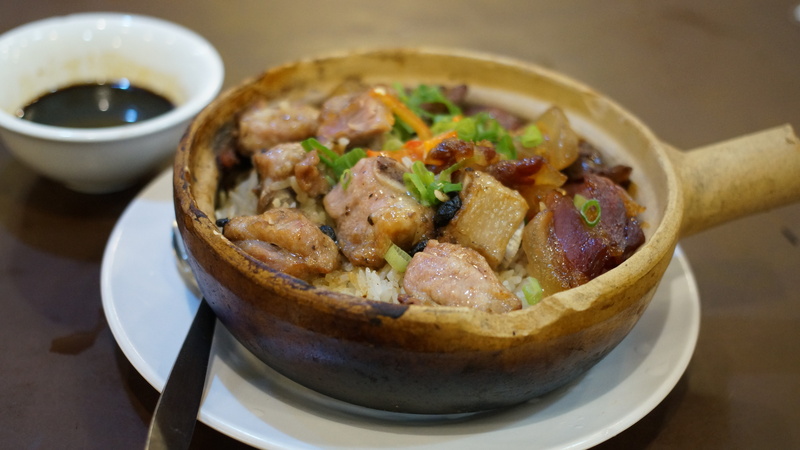 Try going for the chicken and Chinese sausage claypot rice ($57), where the rice boasts a great aroma, tender chicken and a cracking soy sauce flavour. If Four Seasons is the granddaddy of Temple Street, Hing Kee is like the grandma. Another neighbourhood institution with more than 30 years of history, Hing Kee now spreads across two streets and six separate branches, so at least you don’t have to queue for long to get a seat. Many tourists come here for the cheap and authentic local cuisine. 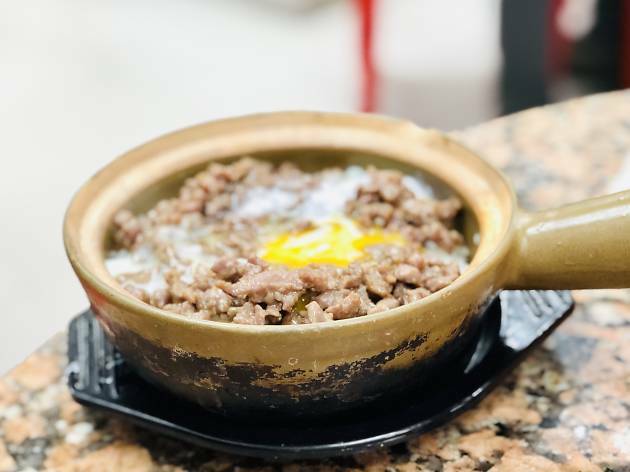 In terms of claypot rice, there’s a plethora of options that allow you to mix-and-match up to 60 different variations, much like the minced beef with Chinese sausage claypot rice ($56). 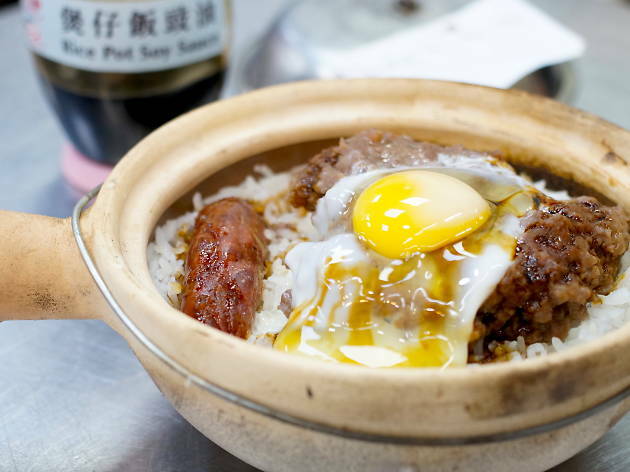 The don of claypot rice in Sai Ying Pun, Kwan Kee is famous for its signature charcoal-cooked claypot rice and the quality is equally good whether at this SYP branch or its flagship branch on Kwai Heung Street. Reservations are a must to get a seat during dinner and be warned, you have to wait an hour for your rice once you’ve placed your order. But trust us, it’s well worth it as the dish is seriously well-cooked and the rice is evenly crisp across the entire bottom of the pot. 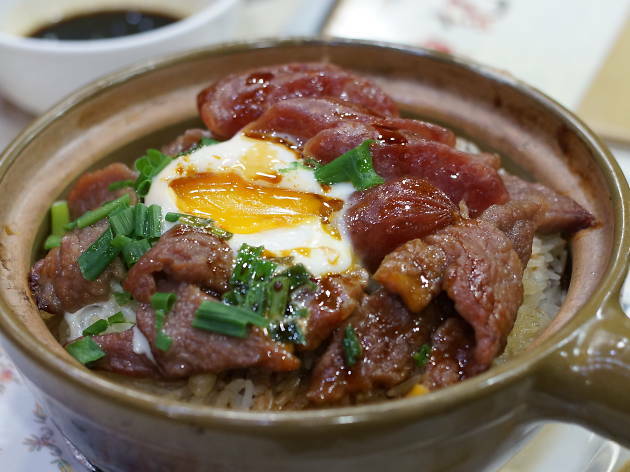 We recommend going for the beef and egg with Chinese sausage ($100) where the flavour of the beef works well with the top quality Chinese sausage and the sweetness of the soy sauce. A guaranteed winning formula. 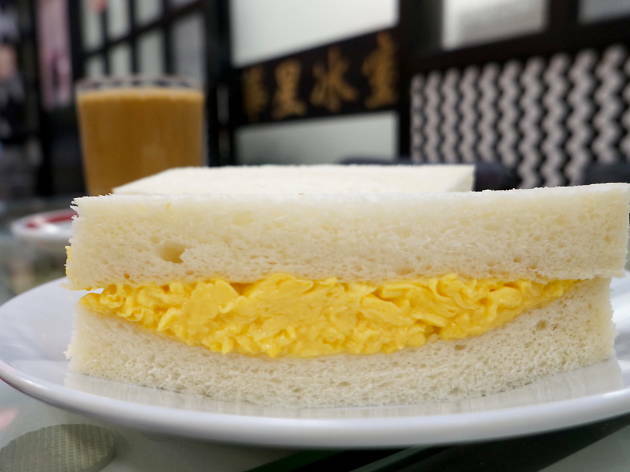 Sheung Hei is a well-known local joint in Kennedy Town, recommended in the Michelin Guide. The restaurant is so popular, there are queues every evening almost without fail. 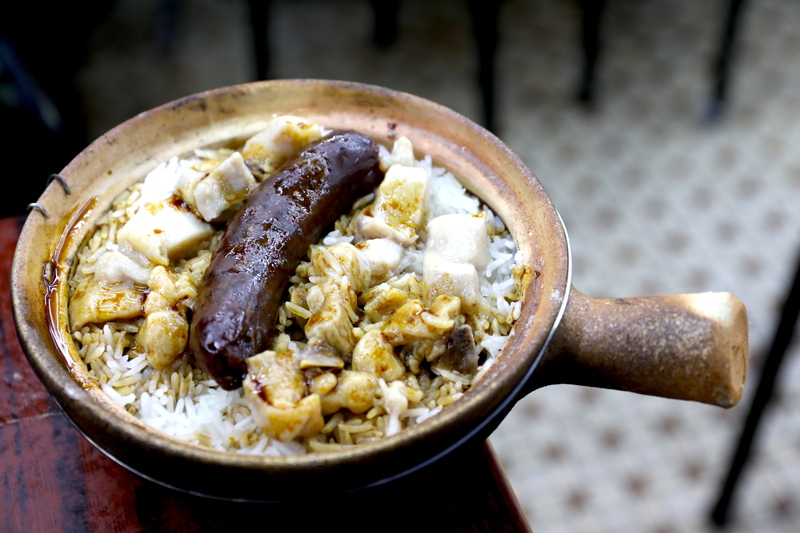 There are about 30 different claypot rice options to pick from at Sheung Hei including the preserved meat and spare rib claypot rice ($75, pictured). 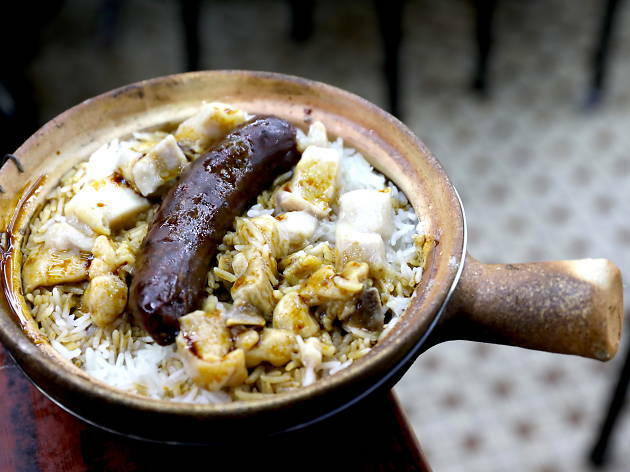 Its popularity may be down to the chef’s habit of mixing fresh and leftover rice and adding a couple of drops of pig fat, which helps it achieve the perfect charred condition. 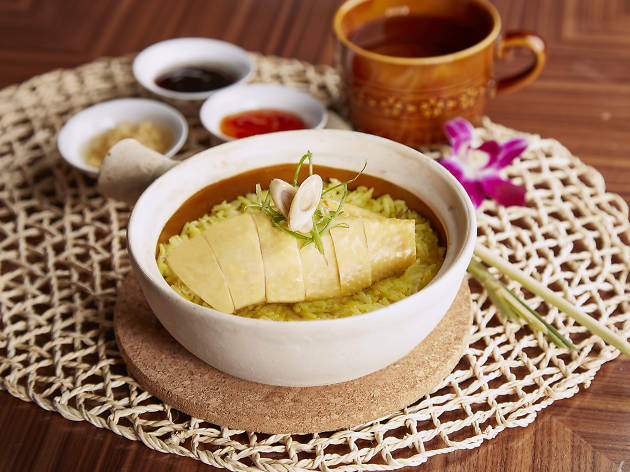 Sheung Hei can be trusted to dish up a great pot and top-notch service. 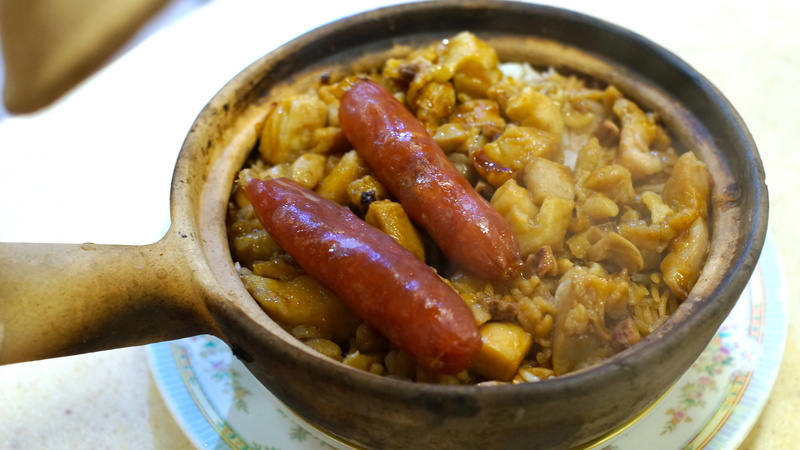 Sui Wah’s owner was once a chef at New Chui Wah, a renowned and much missed claypot rice specialist in Causeway Bay, so you know he can deliver a mean claypot rice. Pick and choose from 30 different versions of the signature charcoal-cooked dish. Ingredients range from traditional ones to funky western-fusion mixes – think mushrooms and foie gras, and beef and garlic – to non-conventional combos like octopus and chicken with Chinese sausage ($75). Pay special attention to the soy sauce here: it comes with layers of flavouring and mixes brilliantly with any and all the ingredients served here. A trusted old name in Kowloon City with decades of history, Tim Lok Yuen not only does great noodles and regular rice dishes, but also offers 20 different claypot rice options. Signature items include ginger and fish belly, chan pei and fish intestine, fish curry, and preserved duck and Chinese sausage ($80). 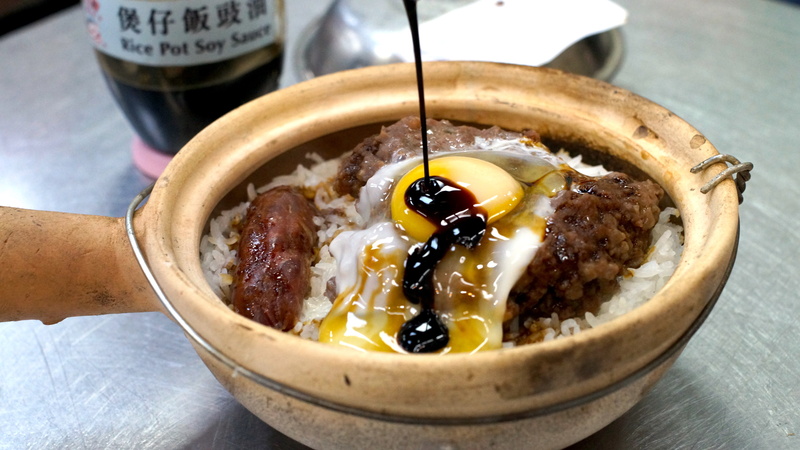 A neighbourhood institution with 40 years of history, Wing Hop Sing originally started out as a cha chaan teng before morphing into a restaurant that specialises in claypot rice. What makes Wing Hop Sing’s claypot stand out from the rest is that its dishes are cooked using a baking oven, so that heat is spread equally. 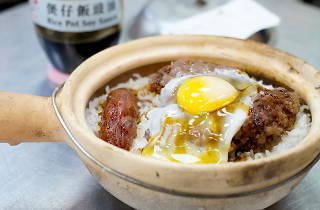 A must-try is the beef and egg claypot rice when you visit, as well as their daily soup. Note that it doesn’t open for dinner and weekends. Looking to chow down on more local food? 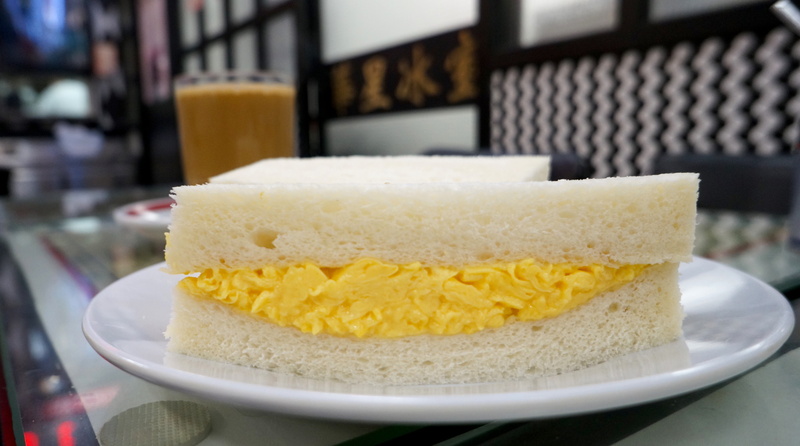 While most Hong Kong cha chaan tengs can boast egg-cellent sandwiches, we decided to go undercover and pit four of the fluffiest, creamiest egg sammies in town against one another in the hope of crowning the best in Hong Kong.